The Detroit Lions signed first-round pick Riley Reiff to a four-year contract today, according to a post on the team’s website. 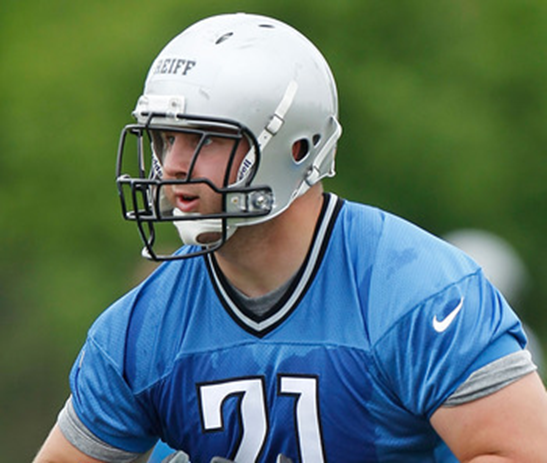 Reiff, the Lions’ last remaining unsigned draft pick, will report with other rookies and injured players today. Training camp starts later this week. The 23rd overall pick in April’s draft, Reiff, an offensive lineman from Iowa, appeared close to a deal Sunday, when his father, Tom Reiff, said Riley was on his way to Michigan. With four-year contracts for all draft picks and a mostly slotted pay scale, the only hold-up had been how much guaranteed money the Lions would give Reiff in the fourth year of the deal. Terms of Reiff’s contract, which should total about $8 million, weren’t immediately available. His agent, Neil Cornrich, did not immediately return an email seeking comment. Last year’s 23rd overall pick, Danny Watkins, got a $4.27-million signing bonus with a $100,000 reporting bonus in his fourth year but no guaranteed money beyond the first three seasons. Watkins missed the start of camp with a brief holdout. This year, No. 21 overall pick Chandler Jones had about half of his $1.5 million fourth-year base salary guaranteed, while 26th overall pick Whitney Mercilus got only the first three years guaranteed. With Reiff under contract, nine first-round draft picks remain unsigned.